Although the UK housing market is slowly climbing to its feet, getting the best price for your property is another thing altogether, so by using a few good up-cycled items, you can help to really make your home stand out. Up-cycling is a popular way of turning old or disused items into desirable products that are at the centre of your home - here are 3 of our favourite up-cycling projects. 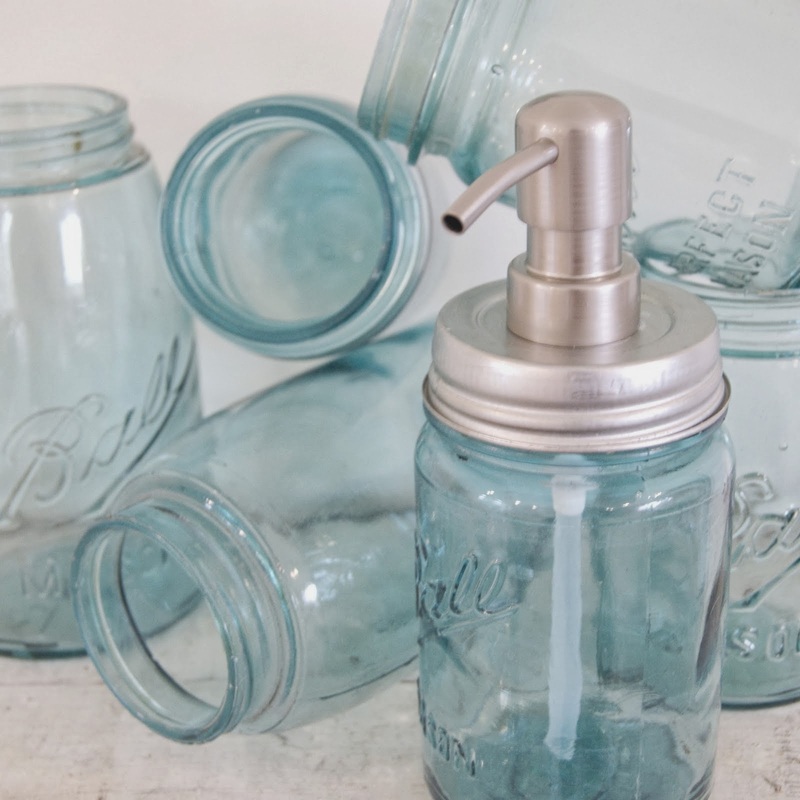 Mason jars can be used in a variety of ways all around the home, but one of our favorite ways to make them into something practical and stylish is to turn them into soap dispensers. All you need to do is drill a hole in the centre of the jar’s lid, fill the jar with soap and then screw the lid back on and fit a pump from an old soap dispenser into it, trimming the bottom of the pump to fit the size of the Mason jar. You might not have a spare boat oar just lying around at home, but if you go to a second-hand store or look at the local adds online you’re likely to find one in reasonably good shape. 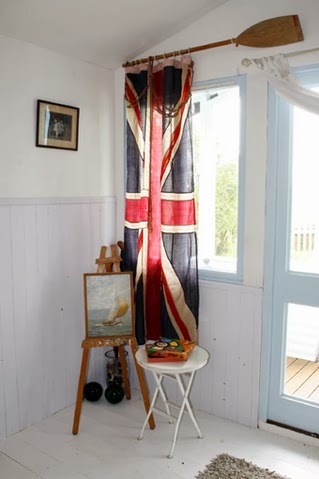 Take your oar and hang it above your window – make sure the oar’s long enough to cover the entire window with curtain. Next, sew curtain rings onto your curtains and then place them through the oar – and you’re done. Do you have any of those old rulers lying around from your school days? If you do, you could put them to good use by measuring them up to fit the top of an old side-table and using a strong wood glue to stick them to the top of it, creating a piece of statement furniture you’re bound to get a lot of use out of. One of the best things about this item is that it up-cycles two things rather than one – you can use the oldest of old tables because you’re just going to cover the top of it regardless. 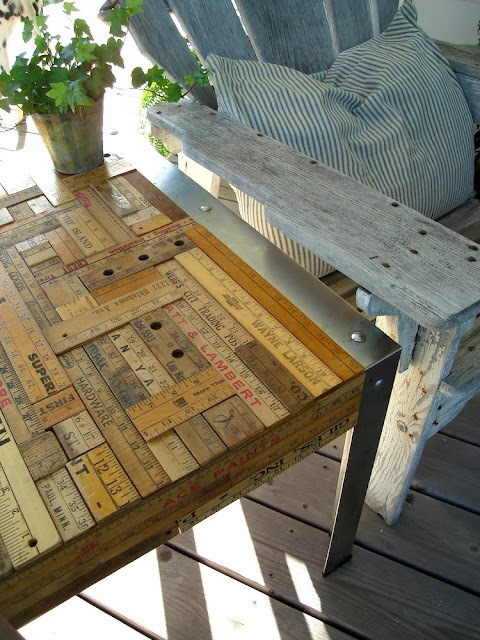 So there you have it, 3 up-cycling projects that are sure to give your home more character and help you to sell. When the time’s right and you’ve made your home as sellable as possible, get a quote from a company like Quick Move Conveyancing, as they’ll be able to give you a true estimate of what your home’s worth.